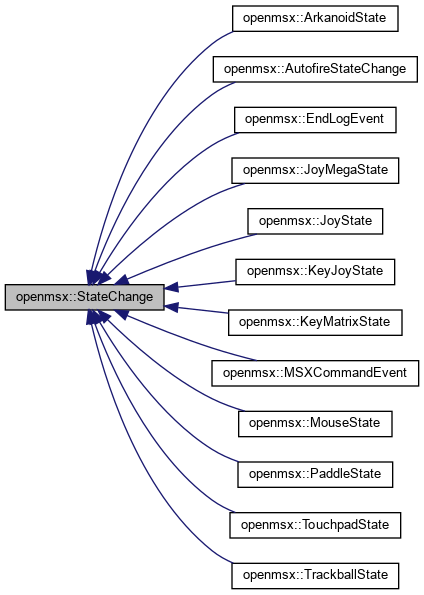 Base class for all external MSX state changing events. These are typically triggered by user input, like keyboard presses. The main reason why these events exist is to be able to record and replay them. Definition at line 13 of file StateChange.hh. Definition at line 30 of file StateChange.hh. Definition at line 31 of file StateChange.hh. Definition at line 18 of file StateChange.hh. Definition at line 24 of file StateChange.hh.